On the 19th of November, China Post Group Corporation, the official postal service of the People’s Republic of China, and Lufthansa Cargo, Europe’s leading cargo airline, have announced a strategic cooperation. Li Xiong, Vice President of China Post Group Corporation, and Peter Gerber, CEO and chairman of the executive board of Lufthansa Cargo, met in Beijing and reached agreement on deepening cooperation. It is considered the foundation of a strategic cooperation. 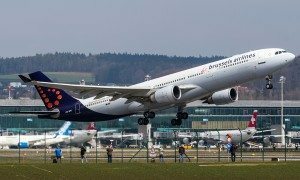 Initially, the agreement has a weekly scope of the cargo capacity of one Boeing 777 freighter on the Shanghai – Frankfurt route. “In recent years, the cooperation between China Post and Lufthansa Cargo has enjoyed a constant growth. The eCommerce business is in a vigorous development. Both China Post and Lufthansa Cargo are now upgrading and innovating the business model. Under the concept of the “Joint Freight Operation”, the two sides have reached a further consensus on the capacity agreement this time. 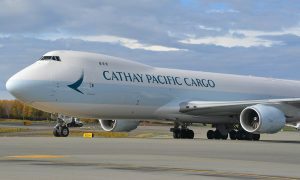 We will jointly build a more stabilized and comprehensive channel of air mail transportation connecting China and Europe.”, said Li Xiong. “We are very pleased that the excellent collaboration with China Post, which has been going on for many years, is now even gaining new quality within the framework of a strategic cooperation. It also reflects the growing importance of the cross-border eCommerce market. Together, we will be able to achieve even more for our joint customers on one of the world’s most important trade lanes”, Peter Gerber, CEO of Lufthansa Cargo, said.